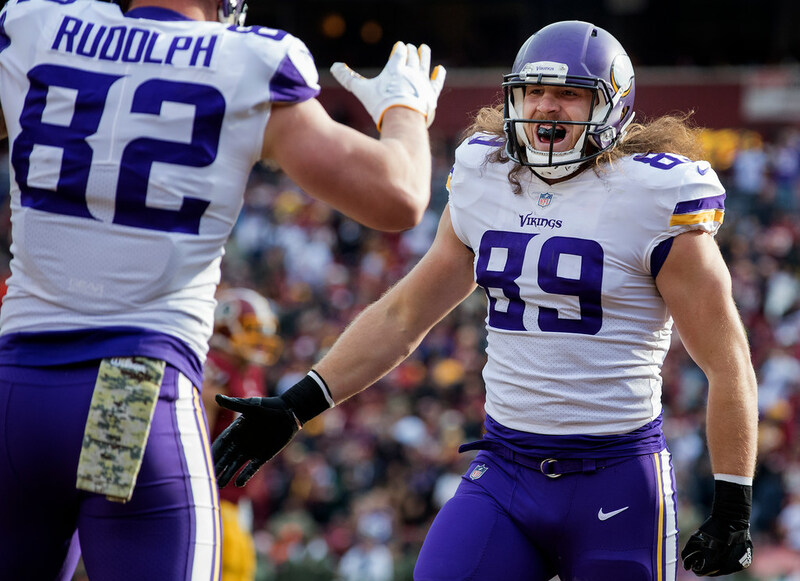 Vikings tight end David Morgan (concussion) and right tackle Mike Remmers (low back) have been ruled out for Sunday in Carolina. Morgan practiced Thursday on a limited basis in the concussion protocol, but was watching Friday’s practice from the sideline. Remmers will miss his fifth straight game Sunday, this one against his former team in the Panthers. He missed three games due to a concussion and now is in his second week of dealing with a low back injury. Center Pat Elflein (shoulder) is listed questionable to play after being limited all week in practice. Six other Vikings on the injury report — cornerback Mackensie Alexander (chest), nose tackle Linval Joseph (knee), fullback C.J. Ham (neck), linebacker Eric Kendricks (hip) and safety Andrew Sendejo (shoulder) — were full participants on Friday and will play Sunday.